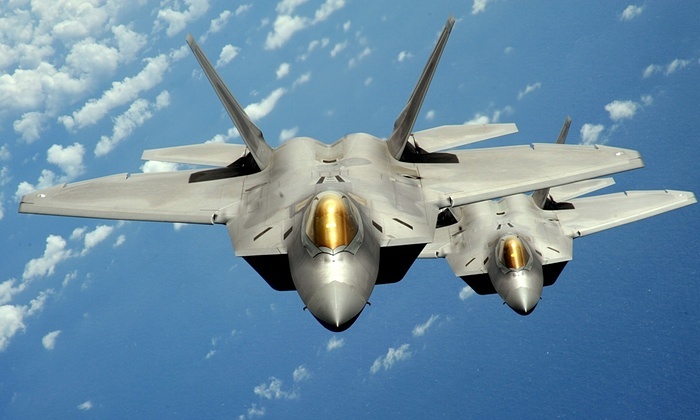 WASHINGTON, DC -- The US is to deploy F-22 fighter jets to Europe as part of efforts to support eastern European members of the NATO alliance unnerved by Russia’s intervention in Ukraine. US air force F-22 Raptor stealth jet fighters are to be based in Europe. “Russia’s military activity in Ukraine continues to be of great concern to us and to our European allies,” the air force secretary, Deborah James, told a news conference at the Pentagon. James did not give details about the specific number of planes, date or location of the deployment but said it was in line with defence secretary Ash Carter’s recent call for a strong and balanced approach to Russia. The first deployment of the Lockheed Martin Corp F-22 to Europe outside air shows is seen as a move to address growing concerns among NATO allies about Russian military aggression. The air force has also been using radar-evading F-22 fighter jets to carry out some its attacks against Islamic State, the first real combat air strikes by the jets. The air force chief of staff, General Mark Welsh James, said the F-22’s inaugural training deployment in Europe would allow US forces to train with NATO partners across Europe, testing the ability of the jets to communicate and fight together with the Eurofighter and other advanced warplanes. James said the deployment would give F-22 pilots more experience with the European terrain. The air force has previously used the jets in Japan and South Korea. Welsh said it would also allow the jets to fly into and out of facilities that could be used in some future conflict. The single-seat, twin-engine, all-weather stealth tactical fighter aircraft was designed by Lockheed and Boeing as an air superiority fighter but can also be used for ground attack, electronic warfare and signals intelligence. The USAF considers the F-22 a critical component of its tactical air power, and states that the aircraft is unmatched by any known or projected fighter. The Raptor's combination of stealth, aerodynamic performance, and situational awareness gives the aircraft unprecedented air combat capabilities. The jets formally entered service in December 2005, with the last F-22 delivered to the air force in 2012.